To begin a meal, there’s nothing quite like a classic Italian bruschetta: toasted bread, farm-fresh tomatoes, olive oil, and basil. It seems so simple but–like the best dishes—always ends up tasting like far more than the sum of its parts. To take things to the next level, try pairing your bruschetta with a Saint Emilion red. Typically generous, warm, and round in body, these concentrated yet refined wines are made from Cabernet Franc and Merlot grapes and are a great match for the summery, herbal flavors of your bruschetta. Another Italian delicacy that never fails to please is burrata. This fresh Italian buffalo milk cheese hides a soft and decadent interior of stracciatella and cream within a solid outer shell of mozzarella. Try pairing this rich cheese with a Fronsac red: framed in oak, Fronsac offer balance, focus, and structure with a complex, lengthy finish that marries well with decadent dairy. 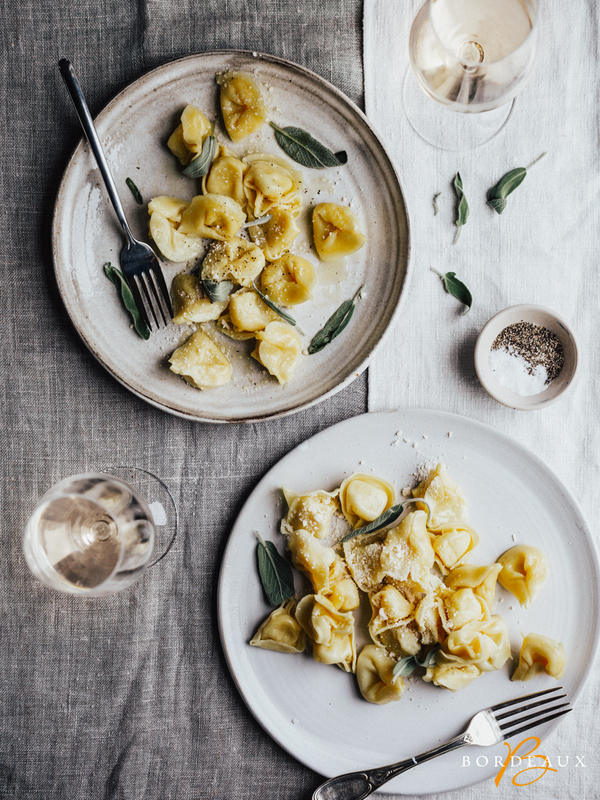 When it comes to the main event of a meal, some of our Italian favorites are deceptively simple…take, for example, ricotta ravioli: delicate pockets of creamy, slightly sweet ricotta cheese wrapped in a thin pasta shell. We recommend pairing this classic Italian filled pasta with a Blaye-côtes-de-Bordeaux white wine. These oft-overlooked whites are rich and varied in taste and aroma, with notes of citrus, tropical fruit, grapefruit, peach, or rhubarb often taking center stage. The fruit aromas are a perfect match for the slightly sweet, slightly salty ricotta, and the refreshing finish might make you momentarily forget that you’re eating a plate full of carbs. Ossobuco, cross-cut veal shank usually served over risotto or polenta, is a specialty that originated in Milan but is now appreciated the world over. We recommend enjoying this deeply satisfying dish with the fresh aromas of strawberry, gooseberry, or grapefruit that are imparted by a Bordeaux rosé or Clairet. These wines have a roundness that marries well with the full-flavored yet not overly rich Ossobuco. Finally, no Italian feast would be complete without dessert! How about a simple, refreshing Panna cotta? We like pairing a sweet white wine from Bordeaux with this creamy delicacy. Sauternes is the classic choice for Bordeaux dessert wines, but there are a number of other delicious—and often more affordable—options for sweet wine in Bordeaux. 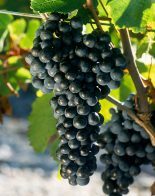 Consider, for example, a vins moelleux (sweet wines), which are less sweet than the highly concentrated Liquoreux dessert wines that you may be more familiar with. If, for some strange reason, you’re not in the mood for Panna cotta, not to worry: there’s always tiramisu. Pair the light yet sinful layered dessert with a Crémant de Bordeaux rosé for maximum satisfaction. Powerful and complex with a long finish, this effervescent dessert wine can stand up to even the strong coffee flavors of tiramisu and the bubbles will bring out the best during the lingering moments of your dinner party.